Our comprehensive hospitality programme has been specially designed to offer a flavour of Hannover and an opportunity to network with industry peers in a relaxed setting. 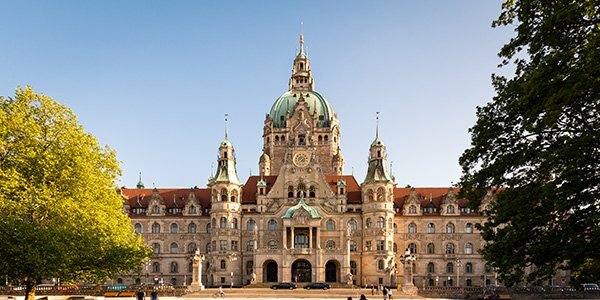 Taking place on Monday 8 April, the Welcome Reception will be held at Hannover Town Hall. The New Town Hall of Hannover is one of the principal landmarks of the city. Built between 1901 and 1913, the Town Hall is a stunning building with a unique character. The tower, built as a cupola, features a curved lift that goes up to the dome enabling visitors to take in a panoramic view over Hannover. In the grandiose entrance hall, where the State of Lower Saxony was proclaimed in 1946, there is a model documenting the four stages of the building's development. Today, the Town Hall is the seat of the Lord Mayor, the city council and administration. 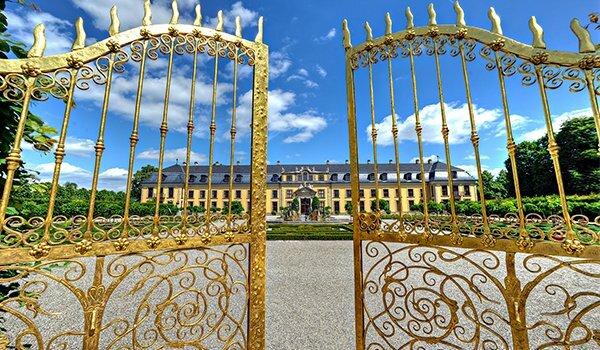 The Royal Gardens in Hannover Herrenhausen are considered to be one of the most beautiful garden parks in Europe. Established more than 300 years ago and covering an area of 135 hectares, they are an expression of garden art in its finest form. Home and habitat to many rare plants and trees, including the tender green rococo garden, the knotted renaissance flower beds and the historical Hedge Theatre adorned in green and gold, the Gardens will create a truly magical setting for the Networking Evening and Routes Europe 2019 Marketing Awards.